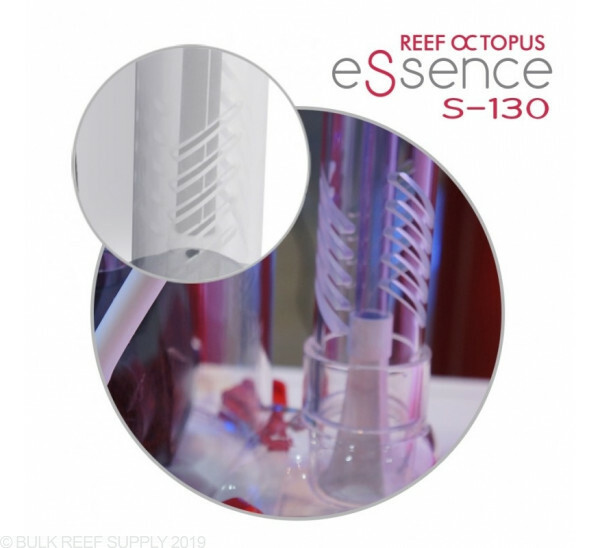 Footprint - 8.3" x 6.9"
Reef Octopus eSsence S-130 Protein Skimmer has been designed from the ground up to create a super silent, space-saving skimmer. 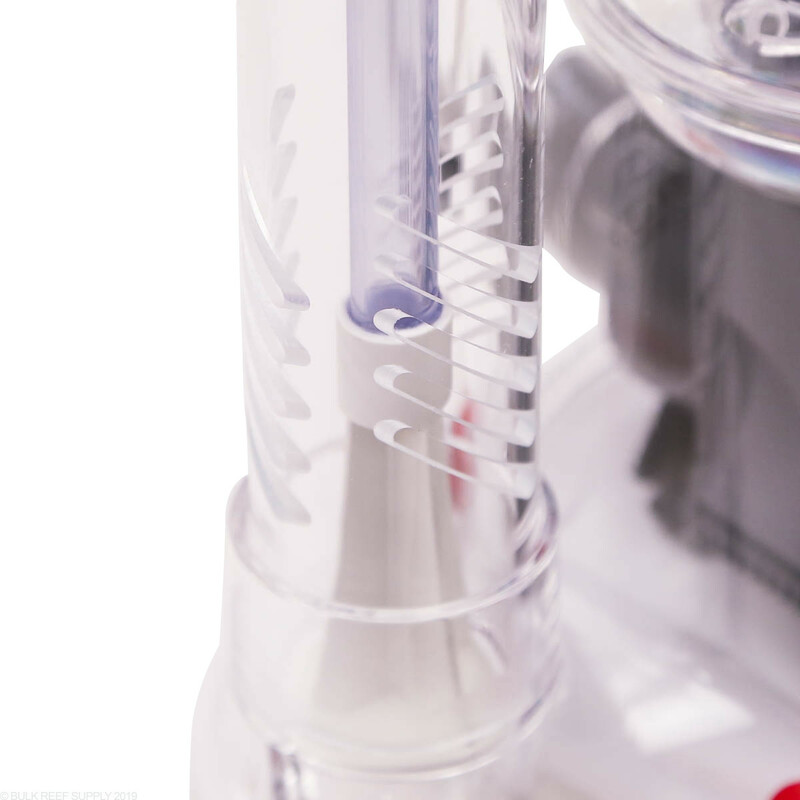 The biggest change that you will notice is the quick connect tabs that hold the body to the base plate. 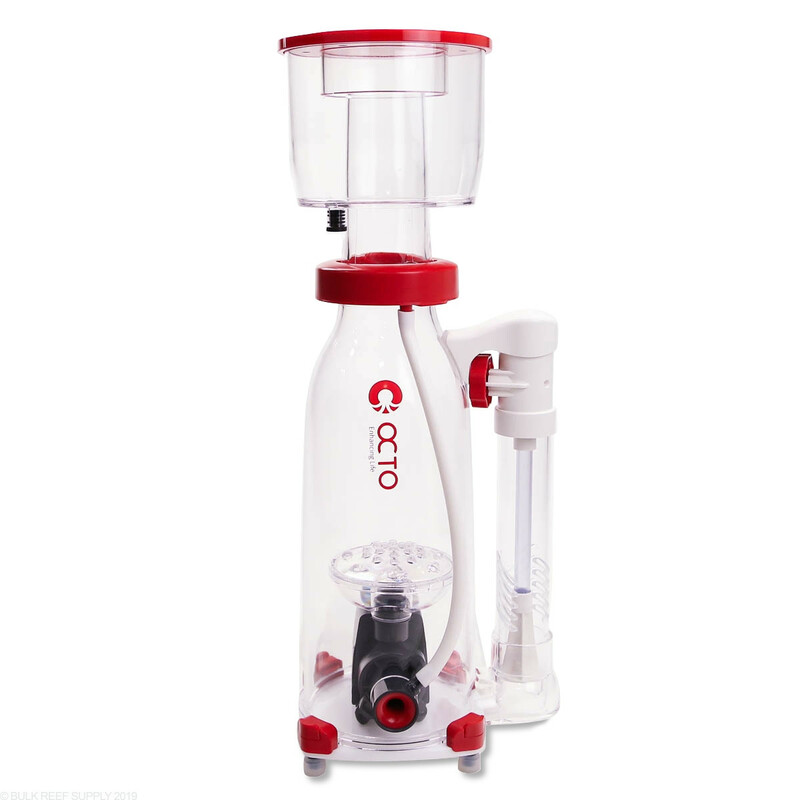 Within just a couple seconds you can disconnect the body from the base for cleaning, or service the pump. 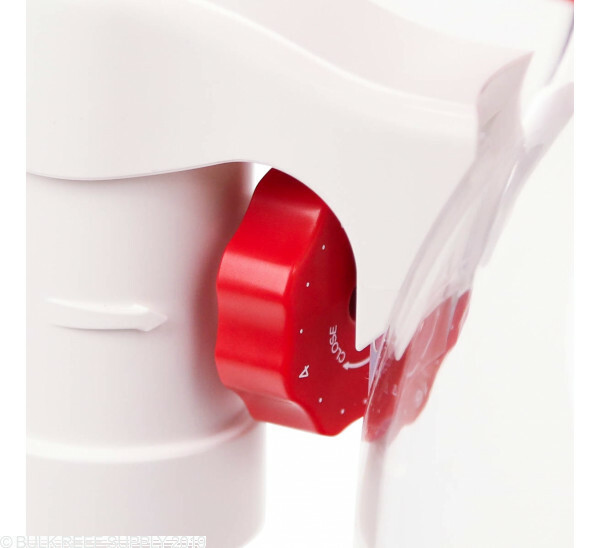 Other innovative features include an integrated silencer into the neck of the skimmer. The Silencer is auto-draining and the large chamber keeps any noise from becoming audible. 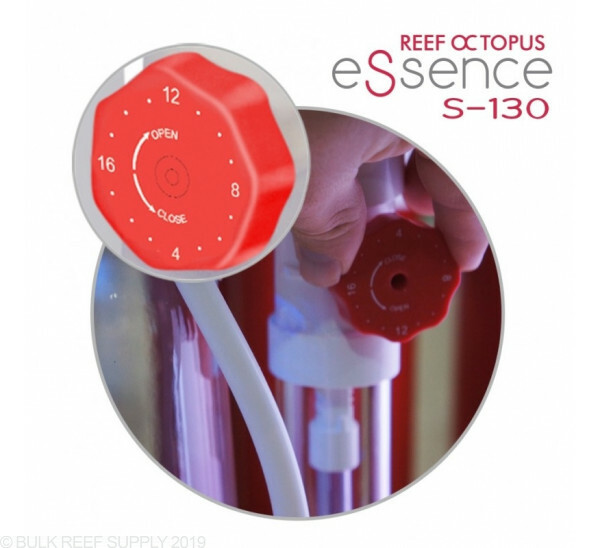 Tuning the S-130 is easier than ever with the 16 step click dial that lets you perfectly adjust your skimmers internal water level. With traditional gate valves or wedge pipes, you can almost never recreate the same setting if the valve is ever bumped or turned. 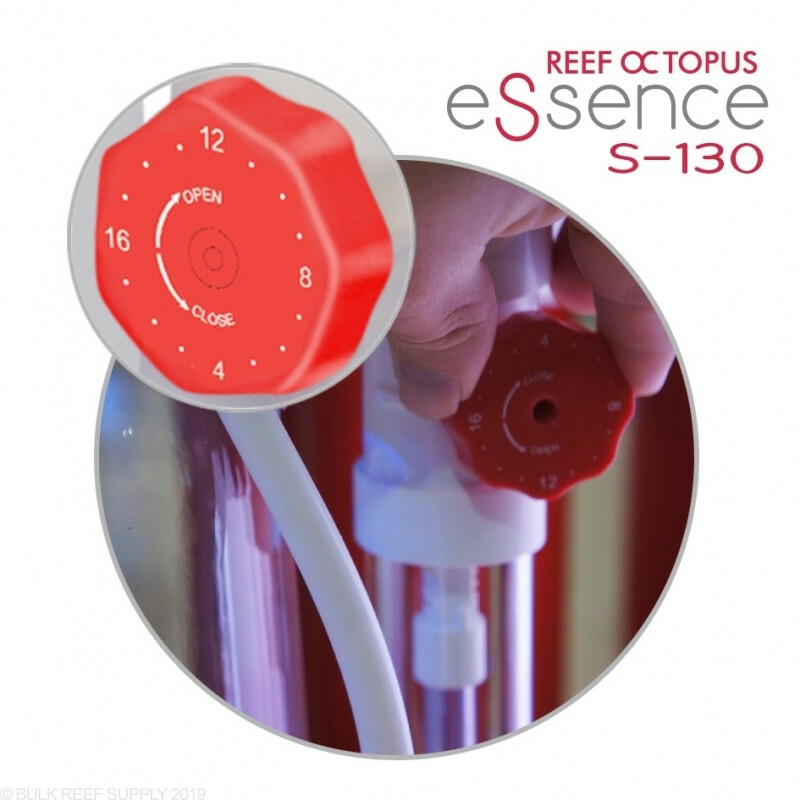 The S-130 click dial easily lets you retune your skimmer in the event that something changes. One of the biggest change to the eSsence S-130 skimmer is its fully submerged discharge pipe. The unique 360-degree pipe has special cuts to keep the water exiting the skimmer from splashing and making any noise. Recommended sump water depth: 7 -8"
I have been running this skimmer for over 7 months now. It’s the bees knees! I don't leave many reviews but thought it worth my time to recommend this product. Pump is the quietest one in my setup and it is a very nice feature how you can dial this in with precise clicks. Less than a week and it is pretty much dialed in and pulling out skim. I thought it was easy to assemble as well. 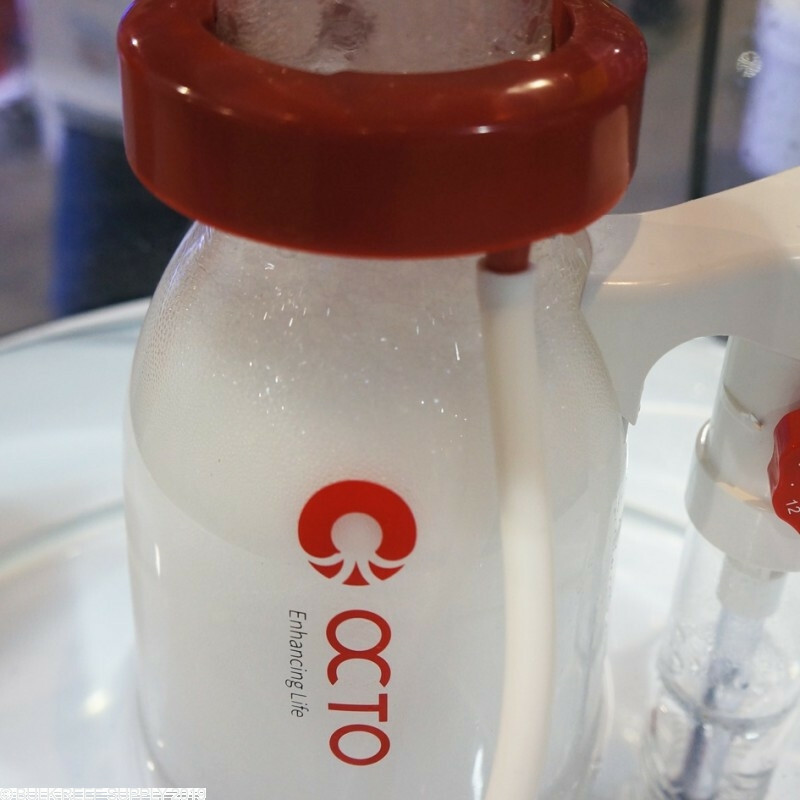 Get rid of your old skimmer and give this a try! You won't be sorry! I'm reviewing this skimmer after 3 hours of use. Why? Because I can noticeably tell a huge difference from my Skimz SV203 to this. It's quieter, functionality is amazing and is already skimming an almost lifeless tank due to the current cycle. Very impressed with the no-nonsense approach to it's design and engineering. Should be a big hit amongst reefers. Who cares about "titanium screws"? 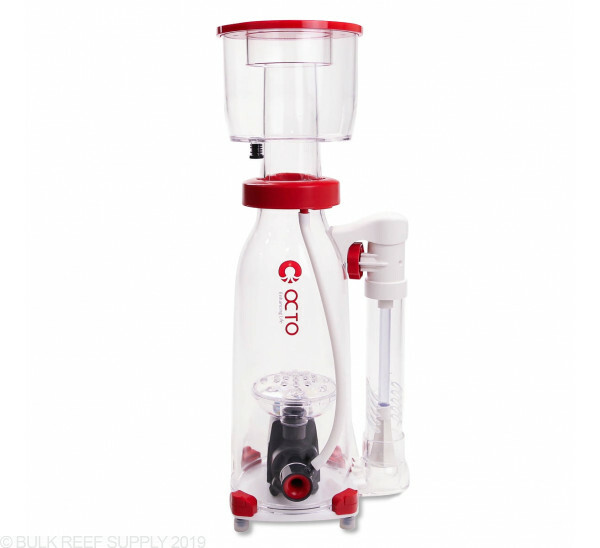 You can essentially tear this thing down to it's bare acrylic to clean everything and not have to get some special tool to clean around the pump or lower housing. Must buy. From what I can tell these are great skimmers, however when I bought one, BRS, who is normally very good about safely shipping their products, went ahead and stuck a UPS label on the factory box and sent it unprotected through the rain and weather. It arrived water damaged. I had to return unfortunately b/c an unrelated expense issue, but when I sent the package back (safely inside a separate box), they are now claiming that the water damage caused by their lack of proper shipment is/was me opening it and charged me a restocking fee. I have called and explained the situation, waiting for the rest of the refund now. So beware of it being sent in only original factory box (not placed in a brown box) in middle of cross country storm weather... for UPS's credit the box arrived in a clear plastic trash bag, I think the courier did that to bring/leave it to the door, but inside the bag the box was already near-soaked. Should have been placed inside a brown shipping box from get go from BRS would have avoided the whole issue. Just got it put in a couple of days ago. 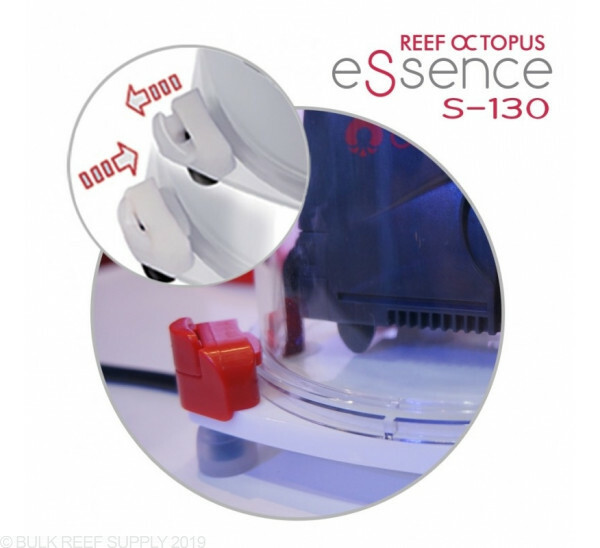 The Essence S-130 was simple to set up and fit nicely into my trigger 26 sump. The skimmer quiet! I can't hear it at all with the other noises emanating from my sump. so i am a die hard BRS fanboy, but i actually bought this from a competitor during the coralvue mix up black friday weirdness. anyway, this skimmer is absolutely incredible. i have the 110sss and this is just lightyears ahead of that thing. i almost bought the 150sss during the black friday, but i spent a few extra bucks and bought this one. and wow. this skimmer ticks all the right boxes. i really don't see a need for DC pump on a skimmer. i want it on or off, and i'm not interested in more bells and whistles and controllers to make this function more difficult. not interested in saving pennies with the dc pump when i also have to tune a controller. the apex gives me enough to fool with as it is. the ac pump on this skimmer is simple. and i like simple. assembly/disassembly is way easier than the 110sss, which is already a breeze. i love the look, and the draining port, and the twist off collection cup (which is also wide enough to easily hand clean every speck). the little tabs that replace the screws work well. its dead silent. 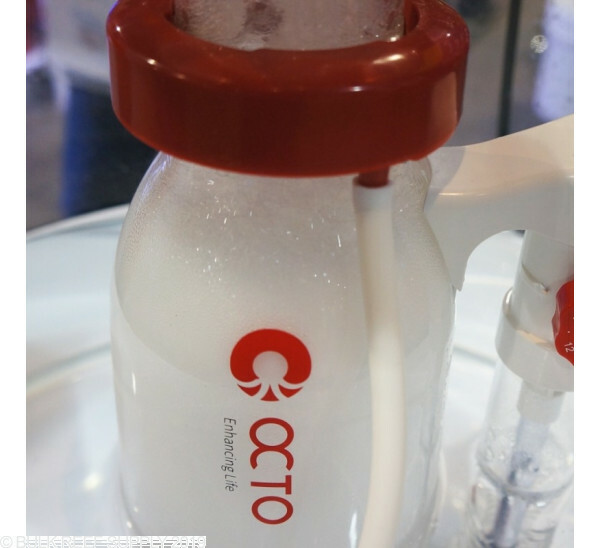 the pump has a slot where it slides onto the bottom plate so that it won't move. the shape is fantastic. it has a small footprint. there is a nice silicone tab that wraps around the cord. just amazing details. it has a very wide range of use......i mean, this skimmer really ticks every box for me. i really really really hope they make a bigger one. i sent RO 2 emails with no replies. i asked BRS but they didn't know. 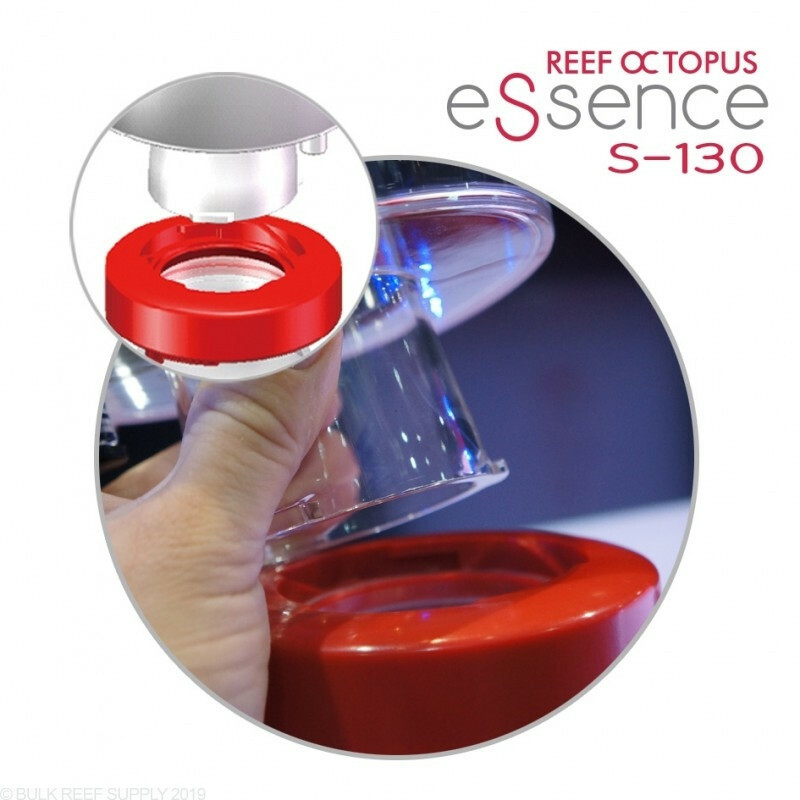 this essence skimmer should absolutely become RO's next big line of skimmer, no doubt about it. its just simple and brilliantly thought out. i can't wait to buy more bigger skimmer of the same line as essence. hopefully they will come out with many many more difference sizes. if you are on the fence about which skimmer, i would recommend this one highly. Just about everything on this skimmer is new tech. Probably the quietest Skimmer I have ever owned. Love the small footprint with ease of tuning. 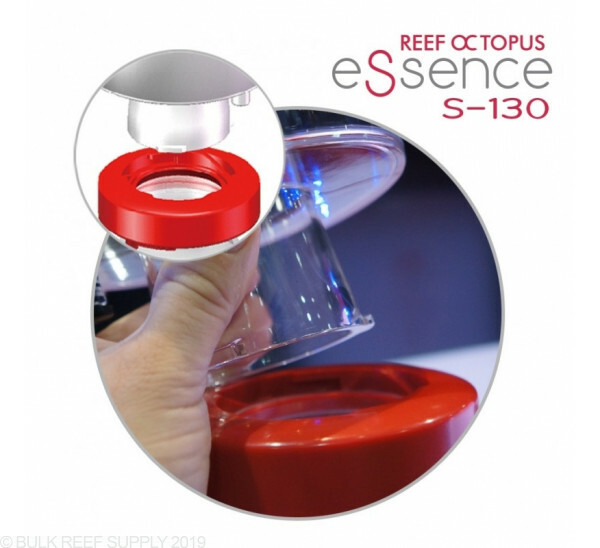 I always gravitate back to Reef Octopus as their skimmers are almost set it and forget it with optimal skimmate production. I am sure they will produce a whole separate line of these skimmers as this is a winner! Just buy it. I’ve owned several high-dollar skimmers and this one beats them all with minimal sound levels. It’s very easy to clean and disassemble. Got one of these for Christmas from my wife. Best skimmer I have used so far. Over the years I have had Vertex, Bubble Mag, other Octos, ASM, and more, however this has been the easiest to dial in and the most consistent performer between maintenance cleanings. I have a 92gal corner tank, heavy stocking and feeding, and this skimmer does a great job. Currently I run a Ruby 30 sump and have plenty of room with this skimmer for general maintenance, filter socks are a little blocked but any skimmer will block them in a Ruby30. I made a stand to raise the skimmer 1 1/2” - 2” off the bottom to get water level recommendation and has been effortless ever since. 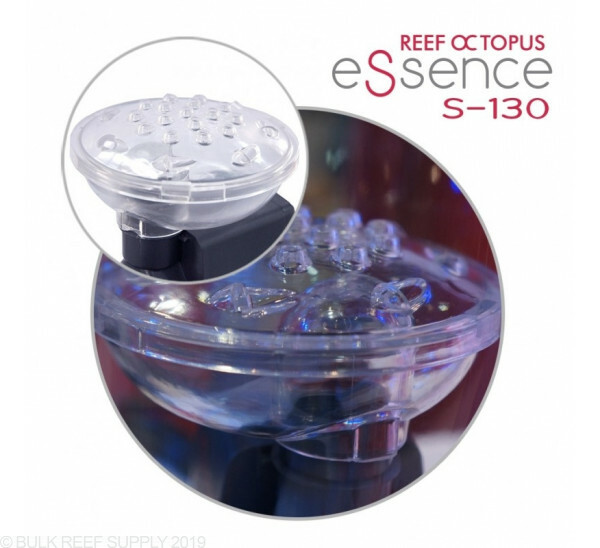 Will be ordering another for my current bedroom reef build, custom 90 low E, paid extra for silent drain system why not buy the quietest skimmer I have “not” heard! Love everything about this skimmer. Super quiet, easily adjustable, and easy to clean! I purchased this skimmer from BRS a month ago. I love it. Best skimmer I have ever owned. I especially like the micro adjustment dial. Works great. Would definitely recommend! 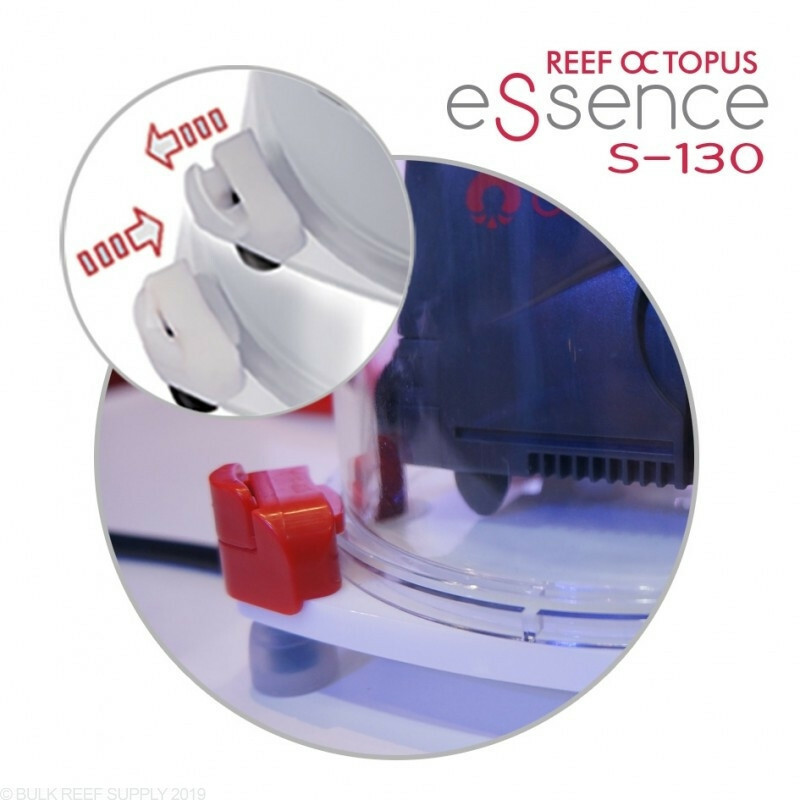 Hi quick question, will the ESSENCE S-130 fit in a Trigger EMERALD SUMP 26 ? This skimmer appears to be a hair too big. The skimmer section of the sump is 8.25″ x 10″ and the skimmer footprint is 8.3” x 6.9”. Have a great day!